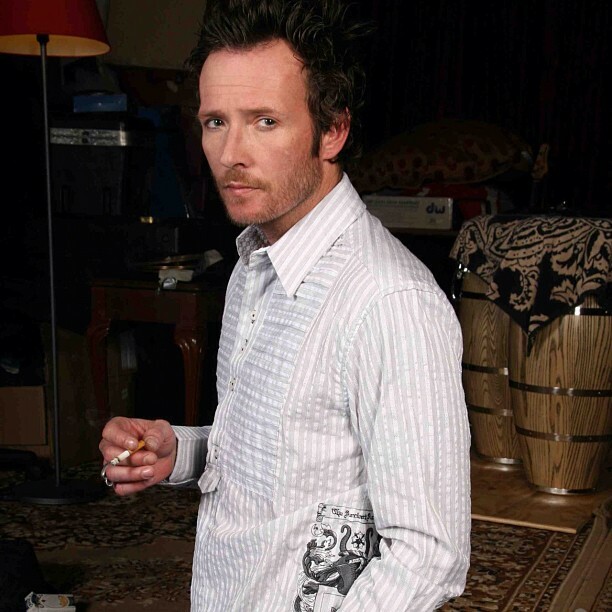 Original Stone Temple Pilots frontman Scott Weiland, fired by the band earlier this year, has posted a letter to fans in reaction the group’s new venture with Linkin Park singer Chester Bennington. STP members Dean DeLeo, Robert DeLeo and Eric Kretz performed with Bennington last weekend as part a surprise appearance at an annual Los Angeles radio station concert event. The band also released a new single, “Out Of Time,” and offered it to fans as a free download (here). Like everybody else out there, I read about my band, Stone Temple Pilots, and their recent performance this past weekend with a new singer. To tell you the truth, it took me by surprise. And it hurt. But the band that played last weekend was not Stone Temple Pilots and it was wrong of them to present themselves as that. First of all they don't have the legal right to call themselves STP because I'm still a member of the band. And more importantly, they don't have the ethical right to call themselves Stone Temple Pilots because it's misleading and dishonest to the millions of fans that have followed us for so many years. When I tour on my own, it's never as Stone Temple Pilots. It's as Scott Weiland. The fans deserve to know what they're getting. Like any band that's stood the test of time and made music for more than two decades, STP had a special alchemy - the four of us together were greater than any one of us apart. So if my former bandmates want to tour with a new singer, that's their prerogative. I don't give a f what they call themselves, but it's not Stone Temple Pilots. And so I say to you, our fans, I'll see you out there on the road this summer where I'm touring as "Scott Weiland" with my band The Wildabouts. But don't give up on STP. I know I haven't.